The Register of Members of The Royal College of Chiropractors’ Animal Faculty, is available to view here: Membership Registry (Animal). In keeping with all the Specialist Faculties of The Royal College of Chiropractors (RCC), the Animal Faculty has a number of core roles, including recognition of experience and qualifications relevant to the subject area. More here… Note that membership of any of the RCC’s Specialist Faculties is voluntary. are currently registered with, and hence regulated by, the GCC. Why choose a Licentiate, Member or Fellow of the Royal College of Chiropractors’ Animal Faculty to provide care for your animal? 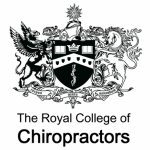 All Licentiates, Members and Fellows (‘members’) of the Royal College of Chiropractors’ Animal Faculty are Chiropractors who have extended their GCC-approved chiropractic training (as required for the treatment of humans) with postgraduate training recognised by the Royal College of Chiropractors. This assures their competency to provide chiropractic care for animals. Note that these chiropractors are registered healthcare professionals who apply the same professionalism to the care of animals that they are required to apply to the care of humans. Legislation stipulates that animals may only be treated by a Veterinary Surgeon or someone authorised by a Veterinary Surgeon. Animal owners can be reassured that members of the Royal College of Chiropractors’ Animal Faculty adhere to this requirement, working under the authorisation of a Veterinary Surgeon at all times to ensure safe treatment of the animal. How do I recognise a member of The Royal College of Chiropractors’ Animal Faculty? Members are listed in the formal Register of members (see below). Members hold a formal RCC certificate and membership card, and are also entitled to wear branded clothing produced by the RCC. compliant with the competecies/standards of practice recognised by the RCC. These individuals are listed in the Register of Members of The Royal College of Chiropractors’ Animal Faculty, which is essentially a voluntary register of animal chiropractors. The register is available to view here.